* BTech in Civil Engineering - CGPA 9.1/10 ~ 3.64/4. * Why MBA: Want to shift from a technical role to a managerial role. Feel that I will reach stagnation in 1-2 years in my current profile. * Post-MBA Goal: Want to get into a consulting job to better utilise my analytical skills. * Target: US: Top 5-15 BScools (Kellogg, Fuqua, NYU Stern, Sloan etc) India: ISB. * Am I targeting the right schools considering my profile? * I understand that nothing guarantees an admit, but still what is the probability of a person with my profile getting an admit from the above mentioned schools? 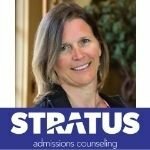 * Am I targeting the right schools considering my profile?You have an uphill climb with that GMAT for your pool- does not mean it can't happen- but the odds are lowered. I would also look at UCLA anderson for strong RE and UNC Kenan-Flagler and those odds- while still tough also- might be a bit better. For Fuqua you might want to look at the early decision option for better odds- but with some commitment- so keep that in mind. Might also add a school like Emory or Olin for safety.